Q: Do I have to be a certain age to purchase a wine subscription from Savage Vines? A: Yes indeed. We take this very seriously and all customers must be over the age of 18. No ifs, buts or maybes. Q: How much is a wine subscription with Savage Vines? A: Monthly Subscriptions start from £29.95. This gets you 2 bottles of epic wine delivered each month. You can also choose to receive 3 bottles delivered a month which is £42. Delivery is on us! Q: What will come in my wine subscription box each month? A: When buying for yourself or gifting someone the best wine subscription on earth you are asked to select your wine preference (being red wine only, white wine only or a combination of red and white). Each month these wines will be delivered to your door in a wine brief case and contain a wine map showing you where we have sourced the wines from and some tasting notes. We will also email you a link to our monthly wine Podcast on the day of delivery. This runs for about 15 minutes gives you a good overview on each wine we have sent that month. You can listen to the latest Wine Podcast at www.savagevines.co.uk/in-the-box/.  Active subscribers also get 25% off wine repurchases too so it’s a great way to be introduced to new wines and be able to repurchase them at a great price. Q: Can I gift someone a wine subscription? A: Yes you can.  If you click gift wine on our home page it will take you to our gifted wine subscription product. From here you choose the length of the subscription, wine combination etc. When you check out and pay for the product you will be asked for their address as this is where we will deliver the monthly wine box. Q: How can I pay for my Wine subscription? A: You can use Visa, MasterCard, American Express, Debit cards. Enter in the card details which will be validated and processed as part of the product check out process on the website. We use Stripe as our payment gateway which is secure. Q: Can I pay cash for anything? A: Sorry, we are an online business. Q: Can I set up direct debit for my monthly wine subscription? A: By purchasing the subscription your debit or credit card will be billed for the nominated product amount each month (£29.95 for two wines, £42 for three). Note that if you select to have a subscription run for a predefined period (3, 6 or 12 months) it will auto renew at the end of the period. You will receive emails in the lead up to the end of the initial 3,6,12 month period reminding you to cancel it if you don’t want it to auto renew. You will receive automated monthly emails notifying you when your card has been billed. Q: Is delivery included in the price of a wine subscription? Q: How and when will I be charged for my wine subscription? A: When you first join the subscription you will be charged on the day your order is confirmed. Every monthly subscription box after that will be processed on the same date in each subsequent month there after.  For gift subscriptions (for example 3 months), you will pay the full amount (for the 3 months) on the day of the purchase and that is it. No further charges will be processed. Q: When I subscribe how long does a wine subscription go for? A: Until you no longer want to receive 2 or 3 epic wines a month. But who would want that! You can also pre-purchase subscriptions which will run for a fixed period of 3, 6 or 12 months. Do this as a gift subscription product. Q: Can I choose what wines go in my subscription box? A: You have a few different options to choose from. You are able to select if you want all white wines, all red wines or a combination of white and red. If you are ordering 3 wines you can choose how you want them split, being 2 white wines & 1 red wine or 2 red wines and 1 white wine. The idea is that we introduce you to new wines! You then get 25% off wine re-purchases as an active subscriber. Just log into your account and the discount will be applied on check out. Q: When will my wine subscription arrive? A: If you have subscribed before the 20th of the month, wines will be delivered on the last Wednesday, Thursday, Friday or Saturday of the month, depending on what you selected at the time of purchasing your subscription. If you order between the 20th and last day of the month, your wines will be delivered on the last Wednesday, Thursday or Friday of the subsequent month. Q: Can I re-order the wines that I love online!? A: You sure can.  As of May 2018 we opened our online wine shop. As an active subscriber you get 25% off all full priced wines. Boom! Q: Can I cancel my wine subscription? A: Of course you can. We are not going to hold you to ransom. There are no contracts, wine subscriptions are billed on a month to month basis. Simple as that. Q: Can I put my wine subscription on hold? A: No worries. Just login to your account on the website and select “suspend”. Q: If I never receive my order confirmation what do I do? A: Send the friendly Savage team an email at hello@savagevines.co.uk. We will get back to you asap. A: At present we only deliver to the mainland UK. If our members help us grow we may show some wine love to other wine savages outside the UK. Stay tuned. Q: What if I am not home when the wines are delivered? A: We recommend that you choose a day and time when there will be someone of age at the delivery address entered to ensure you wines are receipted. If your work accepts personal deliveries’ we recommend getting them sent there! Couriers will leave a slip indicating they will return the next day to try again or you can contact them to re-arrange. Q: Can I track the delivery of my order? A: Yes, once your order is dispatched from our warehouse you will receive an email notification and link to track your order. Q: How do I know what wines will arrive in my box each month? A: On the day of your chosen delivery you will receive a podcast link sent to your email inbox. We will give you a detailed overview of each wine arriving in your box, vine by vine, sip by sip. Now that’s something to look forward to every month! You can listen to the latest Wine Podcast at www.savagevines.co.uk/in-the-box/. Q: Can I buy a wine subscription as a gift? A: Yes – our wine subscription boxes make the perfect gift. You can choose to buy a gift wine subscription for a friend or family member for a 1, 3, 6 or 12-month period. Q: If I don’t like the look of a wine, can I get a refund? Q: What if my wine is faulty [Corked]? Can I get a replacement? Q: How long will it take to process a refund? Q: My wine or accessory product arrived broken or damaged. How can I return it? A: Take a photo of the product and send it to hello@savagevines.co.uk. We will be in touch right away. Q: Do you have a customer referral program? How can I refer a friend? A: We sure do. For every customer you refer you will receive a £20 credit to use on our site. Login to your account on the savage vines website at www.savagevines.co.uk. In the section which says refer a friend, enter their email address and the site will automatically send them a link to allow them to subscribe or gift a wines under your referral code. Once their order is confirmed our system will credit your account with £20 to use in our online store. Q: Can I change my nominated delivery address? A: Definitely. People move houses and jobs all the time. You just need to make sure you update this in your accounts details on the website before the 20th of the month for it to take effect in the current delivery month. Q: Can I buy wine glasses and other wine related accessories from Savage Vines? A: Yep. Check out our online shop. There are really cool products for you wine savages out there.  Q: Are there delivery costs for wine accessory product? A: Delivery of wine accessory products should be with you within 3-5 working days of you placing and receiving email confirmation of your order. Q: When I click on the Spotify playlist links you send me, they don’t work. What do I do? A: There may be a couple of issues here. One being you don’t have a registered Spotify account. If you don’t, we recommend you signing up because Spotify is wicked. Who wouldn’t want to create playlists and listen to music all day long. Second is that your web browser is outdated. Try the link on your phone, tablet or laptop and see if you get any joy there. The other option is to get out your guitar and start strumming. Q: What is the intended use for your Spotify playlists? A: They should be used in a private setting. Please do not play these in a commercial environment or you will be breaking the law. By using the site you, as the visitor, member or customer recognise this and take full responsibility for. That’s about all we can think of for the time being. Although if you feel like a chin wag, or have something else you need to ask, please send us an email at hello@savagevines.co.uk and one of our Wine Savages will be in touch asap.